Katz on cello on gay anthem jazz standard “My Funny Valentine” by the Chico Hamilton band. 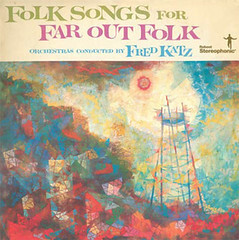 Fred Katz (born February 25, 1919) is an American composer, songwriter, conductor, cellist, and professor, perhaps best-known as the composer and lyricist of “Satan Wears a Satin Gown“. Katz was classically trained at the cello and piano and began his career in a number of classical and swing orchestras. In the early 1950s, Katz accompanied singers such as Lena Horne, Tony Bennett and Frankie Laine. From 1955 through 1958, he was a member of the Chico Hamilton Quintet. He also recorded several solo albums such as Folk Songs for Far Out Folk labels including Pacific Jazz, Warner Bros., and Decca Records. In the late 1950s and 1960s, Katz scored a number of films for Roger Corman, including A Bucket of Blood, The Wasp Woman, Creature from the Haunted Sea and The Little Shop of Horrors. He also composed a number of pieces of classical music. Katz went on to become a professor of cultural anthropology at the University of San Fernando, specializing in ethnic music. 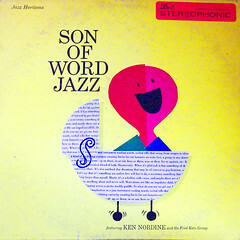 His cello can also be heard on Ken Nordine‘s Word Jazz projects, on Dorothy Ashby‘s The Rubaiyat of Dorothy Ashby, and Billy Bean‘s Makin’ It. This entry was posted in American culture, avant-garde, film on February 25, 2009 by jahsonic. Ye’sha Ko’ach, Fred. My father, z’ Cantor Allan Michelson would have been your same age. He thought very highly of you and of your music.